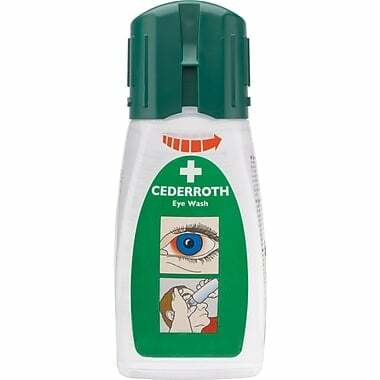 Cederroth Eye Wash (500mL) is a personal eyewash bottle containing sterile, buffered, saline eye wash solution. 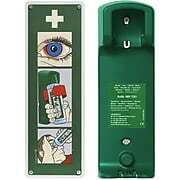 The bottle is easily opened and ready to use by twisting off the dust cover. The integrated eye cup helps keeping the eye open during rinsing and ensures a generous flow without unnecessary waste. The bottle is shaped to fit into a pocket. 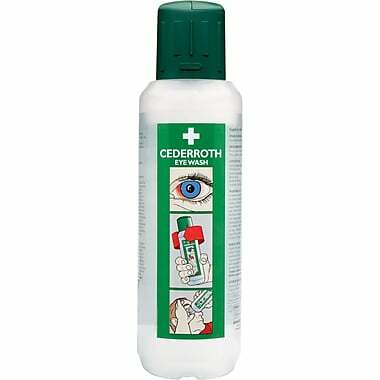 Cederroth Eye Wash (500mL) is a single-use, sterile, ready to use buffered solution for eye irrigation that can be kept conveniently in your pocket or the holster hat goes with it. 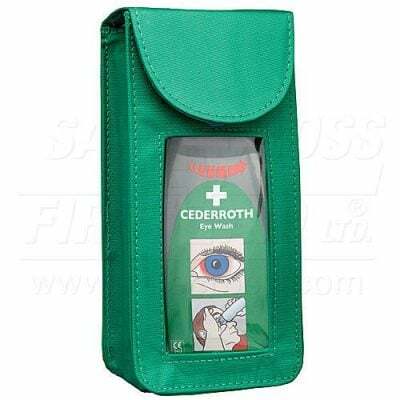 It cleanses the eye to help relieve irritation, discomfort, burning, stinging, or itching by removing loose foreign material, air pollutants (smog or pollen) or chlorinated water. It helps restore normal pH levels from corrosive substances (alkalis or acids). The twist-off, tamper proof cap ensures the solution remains sterile until time of use. The integrated eye cup conforms around the eye for comfortable use. Cederroth has a shelf life: 4,5 years. 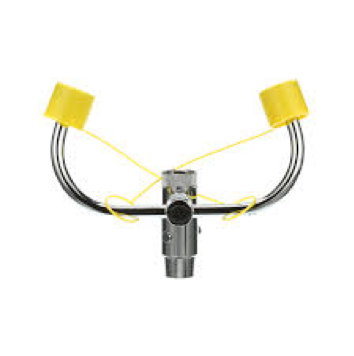 We recommend placing Cederroth Eye Wash stations in pairs (one for each eye) in a wall bracket at 90 second intervals from your plumbed eye wash station.